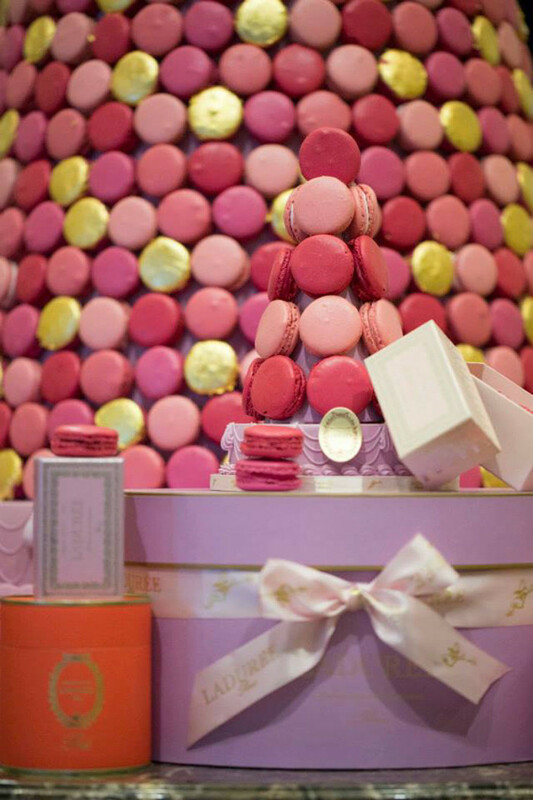 The Paris Carnival inspired, 14 feet high world’s largest Ladurée macaron tree is on display at the InterContinental Paris Le Grand. 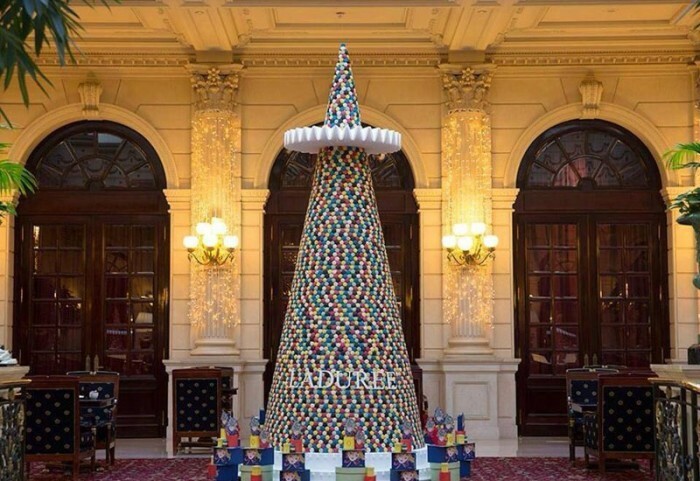 The tree is made of 8,000 macarons in Harlequin multi-colors of green, yellow, black, blue and red with a touch of silver, and a bit more of Paris Carnival atmosphere added with a stately Elizabethan ruffle collar. 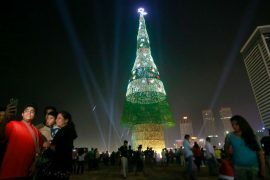 Accompanying world’s largest macaron Christmas tree is 27 other smaller delicious macaron trees displayed throughout the hotel. Complementing the brightly colored large tree are the smaller ones in colors of rose, lavender, orange, and melon. It took a Ladurée team of 50 two weeks to build the trees and one night to install them at the hotel. 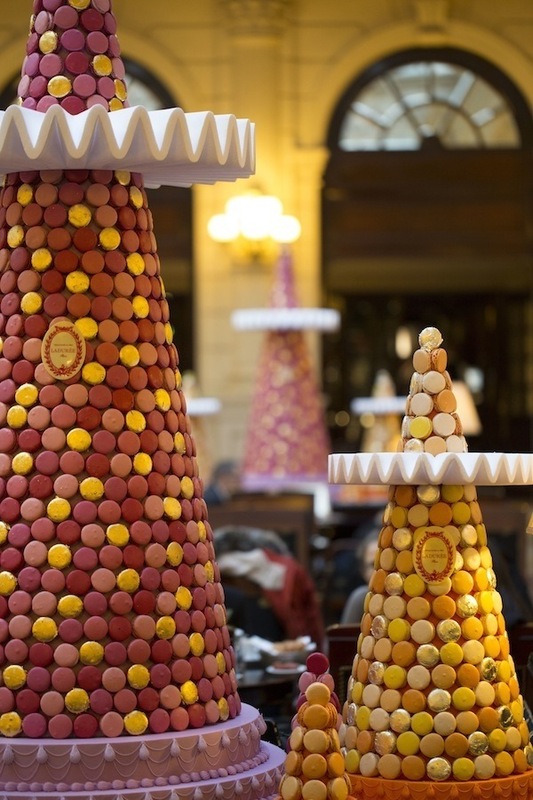 This year’s Ladurée and InterContinetal Paris Le Grande collaboration has more meaning than creating the largest macaron Christmas tree – both companies were opened in the year 1862. 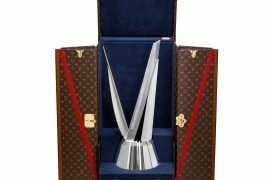 This is their way of celebrating the 150th year in style. The deliciously edible trees will be on display at the InterContinental until January 2, 2014.